Huntsman single breasted blazer. Dege & Skinner tartan trousers. Turnbull & Asser shirt. Alain Figaret silk tie. The smartest way to carry your phone gentlemen? The answer is to wear a vest as it is known in Savile Row. A waistcoat to most. Regrettably with central heating and a more relaxed look nowadays the 3 piece suit is not as popular as it once was. 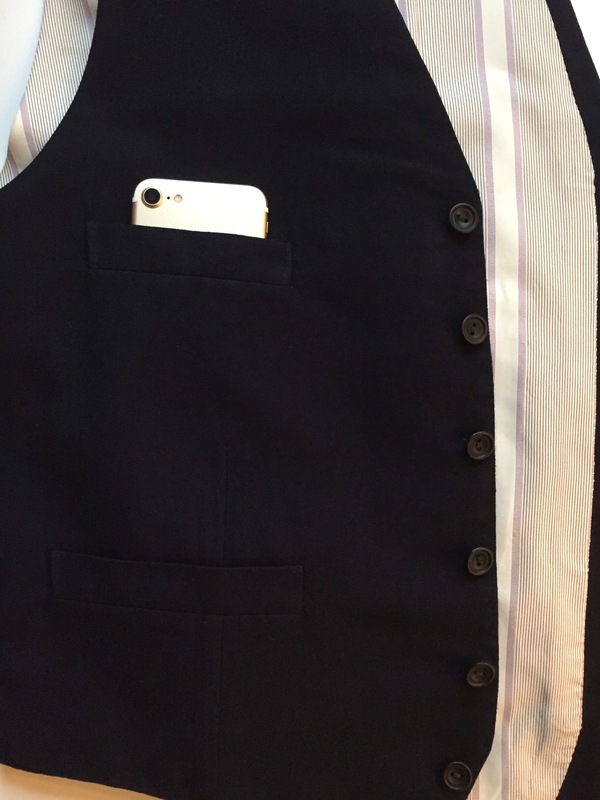 The top pocket of a four pocket vest is by far the most practical and comfortable way to carry a smartphone upon your person. No unsightly bulges in trouser or jacket pockets one so often sees. Furthermore the top vest pocket is the most secure place. I prefer to slip my phone into my top right pocket. Furthest away from my heart. Those with implanted heart hardware may wish to consult their physician. Furthermore, calls are easily identified by ring tone and/or vibration. So perhaps the vest (waistcoat) may make more of a return. This one pictured is a vest from one of my Huntsman of Savile Row 3 piece suit collection. Made in 1986 and still in perfect condition. Author vintagedresserbyfarrantPosted on October 19, 2017 Categories Huntsman, Suits and JacketsTags Bespoke, Bespoke suit, Huntsman, Savile RowLeave a comment on The smartest way to carry your phone gentlemen? 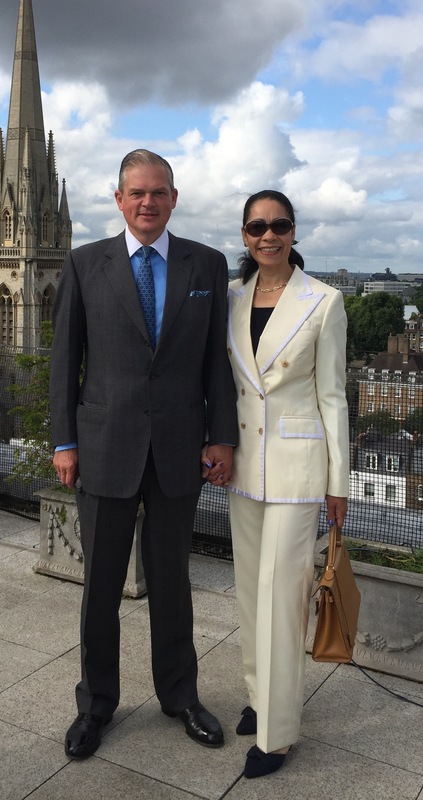 Paul in a Dege & Skinner Prince of Wales check suit. John Lobb bespoke Oxfords. Turnbull & Asser shirt. Hermes tie and pocket square. 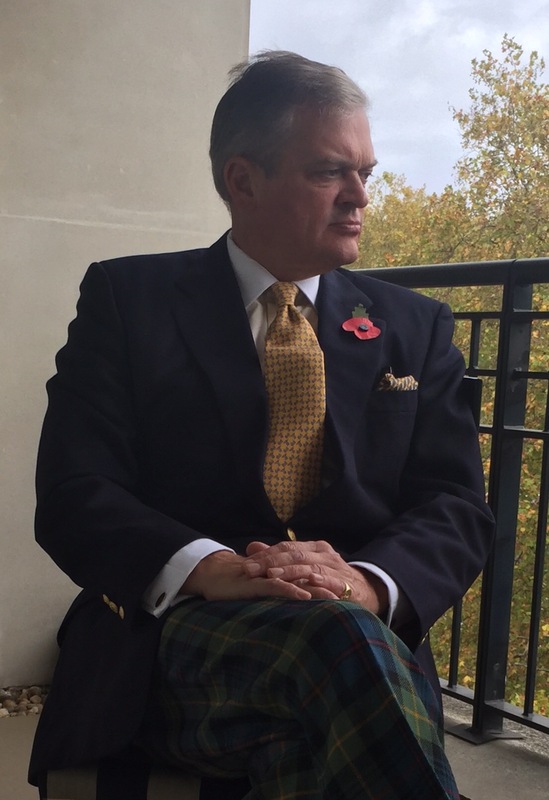 Jackie in Edward Sexton bespoke trouser suit. Yves Saint Laurent shoes. Hermes Kelly bag. Vintage Dresser by Farrant Blog at WordPress.com.